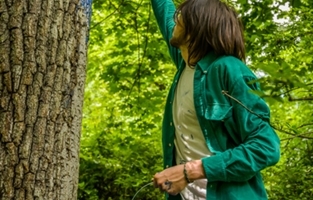 Gulf to Gulf studies the effects of climate change from the Gulf of Mexico to the Gulf of Maine, with the intention of affecting public policy with art. 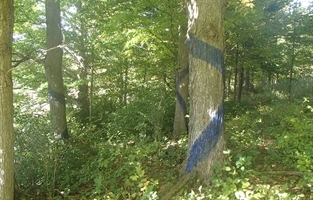 Blued Trees is a division of the Gulf to Gulf project. 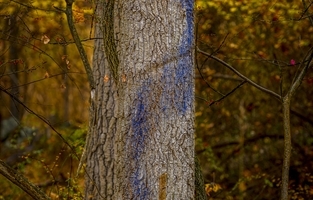 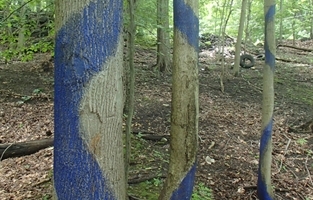 The goal of Blued Trees is to address the root causes of global warming by creating installations in the path of proposed natural gas pipeline expansions. 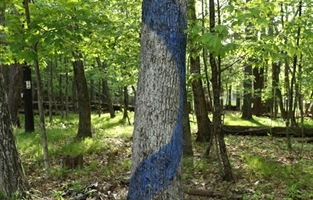 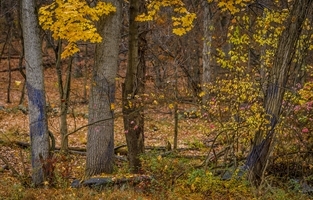 The artwork is then copyrighted to protect the relationship between community and habitat. 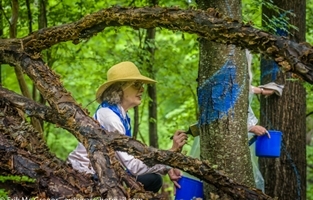 Blued Trees encourages conversations around the meaning of "public good" in relation to eminent domain where fossil fuel technologies are proposed. 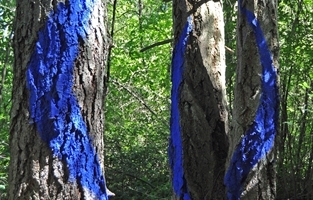 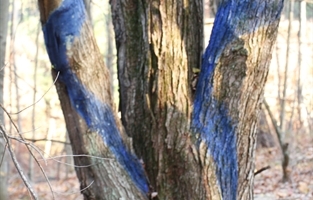 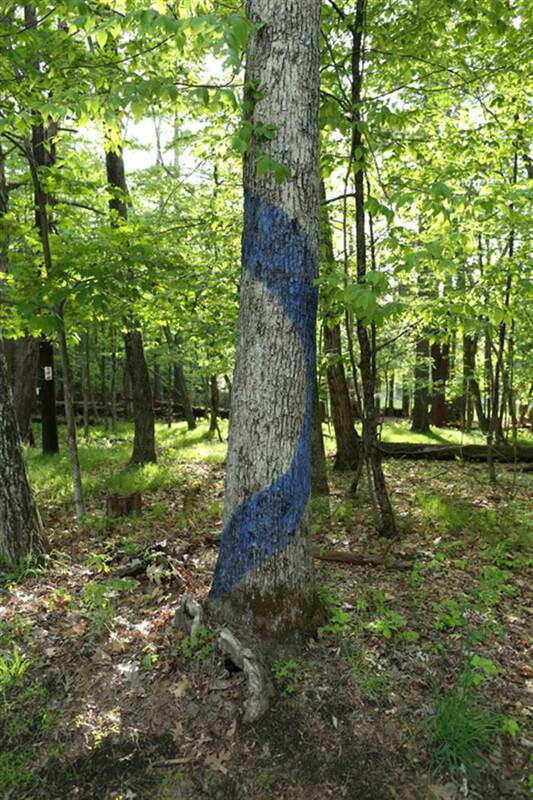 The Blued Trees Symphony makes a classical opera from those spatial relationships. 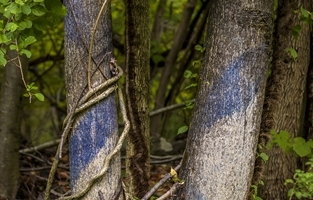 Learn more about Blued Trees!